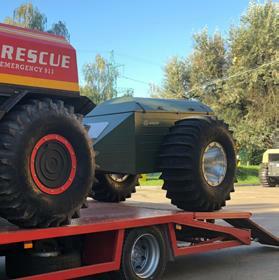 A unique trailer for transportation of the SHERP designed to make delivery of the all-terrain vehicle as easy and quick as possible. Its load-carrying capacity and dimensions are adjusted for SHERP transportation on public roads. 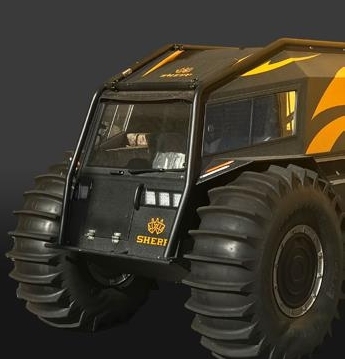 SHERP loading procedure is carried out under the vehicle’s own power and takes few seconds. 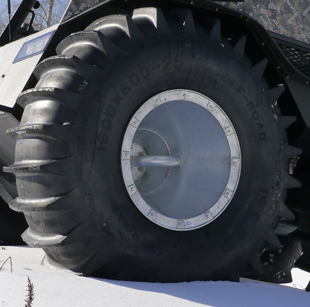 You can transport both an all-terrain vehicle and a boat-type sled at the same time. The trailer is equipped with shock absorber, brakes, taillights, license plate lights and a telescopic jockey wheel. The frame is galvanized, which provides rust prevention for a long time. 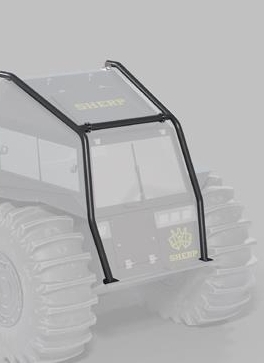 Rollover protection frame is a very important feature of special vechicles that will not only help to protect the vechicle from heavy damage, but also can save life and health in case of rollover. It is recommended for those, who want to use Sherp in the mountains or hills. 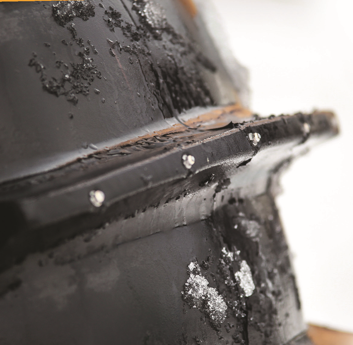 The boat is made of a hardwearing polymer material capable of withstanding severe frost. 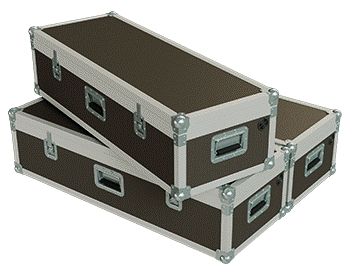 Specially designed system provides reliable fastening and protection of goods. The nylon fabric CORDURA in its base is famous for its threads with polyurethane coating and water-repellent impregnation. 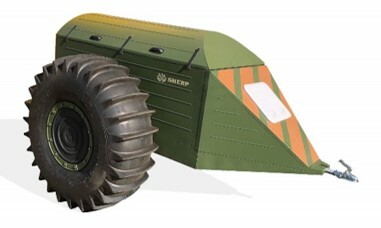 The Sherp boat-type sled is specially designed so it can be transported on one trailer with the SHERP. 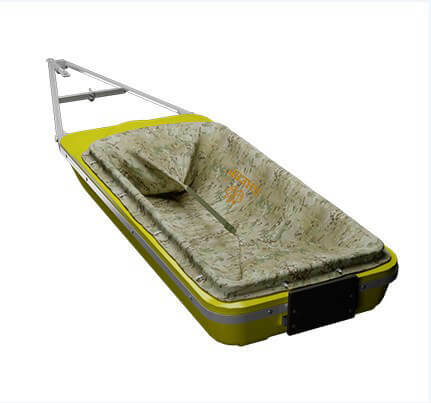 Delivery set includes a special tow hitch equipped with a cushioning mechanism, which securely attach the boat-type sled to the Sherp. This functional floating trailer for SHERP was developed by a team of design engineers to increase the usable capacity and place cargo outside the SHERP, which is very convenient for the driver and passengers. 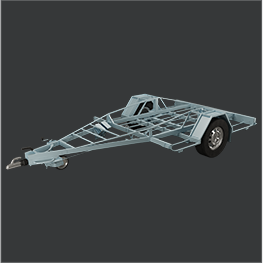 The construction of the trailer is made of high-strength steel and aluminum. 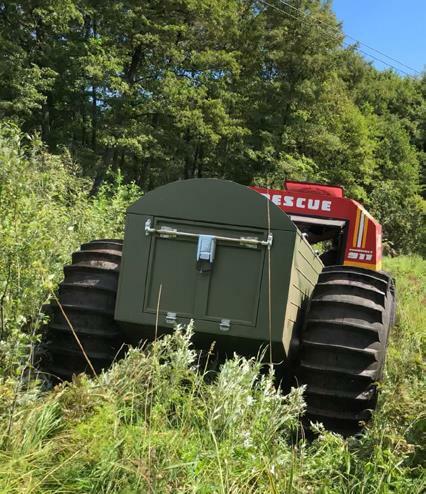 This trailer easily overcomes any obstacles (water, soil, swamps, snow, etc.) following the vehicle. It is very easy to use and attached to SHERP with a towbar. Every SHERP wheel can be equipped with a fuel can. The cans in all four wheels increase the fuel reserve availability significantly. 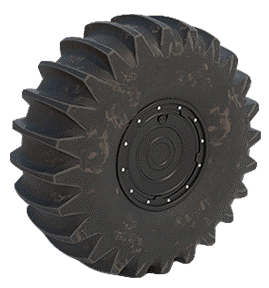 Moreover wheel tanks help to save internal space in Sherp, as instead of fuel, other useful things, e.g. equipment or necessary devices can be placed and stored inside the vehicle. The cans are manufactured of extra light and solid polymer. A rear view camera facilitates greatly the SHERP control. It provides good visibility, so you can easily move back and park without problems, even within the limited space. 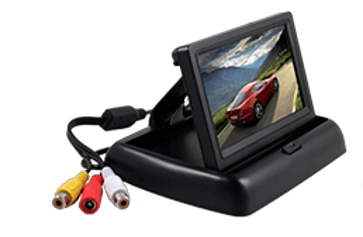 The rear view camera is a useful and viable option. It makes the control of the SHERP even more comfortable and safe. A wireless signal transmits an image to a display located on a dashboard. If you have a camera, reversing or avoiding obstacles will not cause you any difficulties. A rather low consumable heater has a compact design, though it is powerful enough to warm up the SHERP in just a few minutes; moreover, it is designed for a long uninterrupted operation. 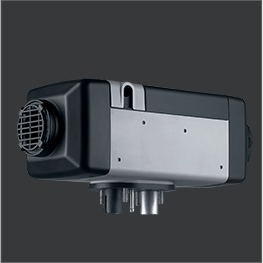 The independently operated air heater generates highest possible comfort inside the vehicle. Just select the temperature you desire, and the thermostat will constantly maintain its level inside the compartment for your efficient operation and comfortable rest. The heater operates quietly on diesel fuel. 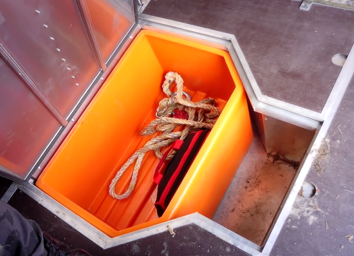 An insert in a hold compartment provides using of its space reasonably and effectively. This box was specially designed to make the SHERP operation more convenient. 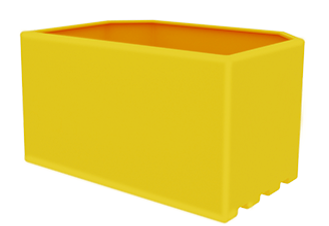 This one-piece polymer box is designed for storage of drinking water, food, equipment and devices. Its volume is 120 liters. One more advantage of the insert box for the hold compartment is its easy installation into / removal from the hold. Thanks to this, you can easily use this box out of the SHERP. Safes are a convenient and viable option. They can be used both to store the necessary things, and as places for seating or sleeping, as a table, etc. 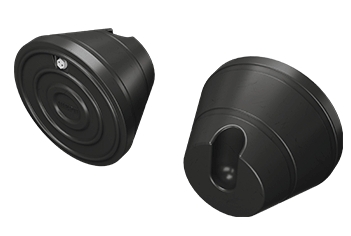 Safes are equipped with locks and handles for easy transportation. 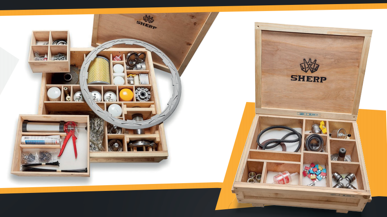 With these lockers, you can adjust the internal space of Sherp for your specifc needs. 2 lockers are supplied per a set. 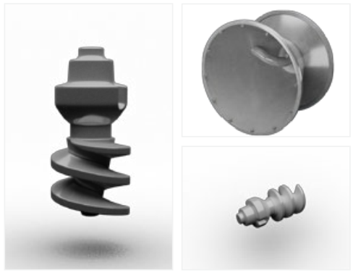 Sherp specialists developed sets of spare parts (SPTA) which are recommended to have in case of an accident or breakdown for the prompt elimination of their consequences. SPTA SET No. 1 «PORTABLE» is a set of necessary consumables and spare parts. It will be in demand with the regular operation of SHERP, therefore it is recommended to always keep it on board. The universal solution: this set is recommended for those cases when SHERP is operated far from service centers. The spare parts and tools of this set will be sufficient to eliminate any breakdowns without resorting to specialized centers. It combines the advantages of the first two sets. 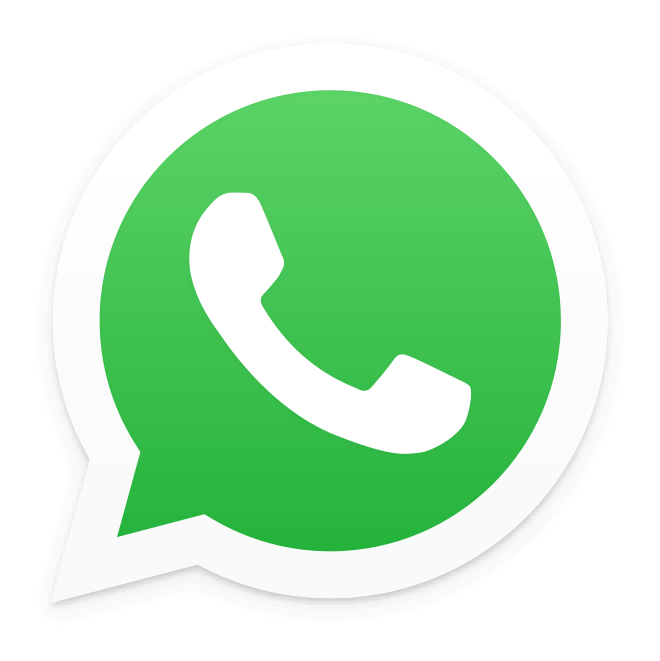 It has an expanded list of spare parts and tools suitable for servicing SHERP with the regular operation away from service centers. In addition to an expanded set of spare parts and tools, the «Dealer SPTA-4» set, also includes specialized electrical equipment. 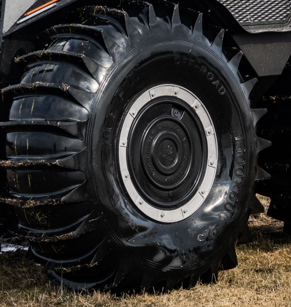 It is suitable both for eliminating breakdowns in difficult conditions and for carrying out routine maintenance of the SHERP all-terrain vehicle without recourse to the authorized service centers. In our authorized service we are able to make Sherp customizations upon customer request. The list below presents most popular customizations. If you have any other requests, please let us know.